Windows Azure Global Bootcamp is comming to Greece. Call for action! 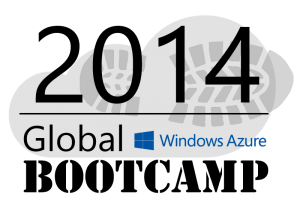 In April of 2013 a bunch of MVPs held the first Global Windows Azure Bootcamp at more than 90 locations around the globe! Unfortunately Greece was not in the list of participants mainly due to bad timing. This year though I’ve decided to organize the event for Greece, so we plan to offer up a one day deep dive class to help thousands of people get up to speed on developing Cloud Computing Applications for Windows Azure. In addition to this great learning opportunity the hands on labs will feature pooling a huge global compute farm to perform research for charity! So, if you’re interested and you’d like to help in organizing this event for Greece I’m currently looking for a co-organizer and of course if you’d like to speak and have a topic you wish to present drop me a line and we’ll talk. K# : Windows Azure Global Bootcamp is comming to Greece. Call for action!